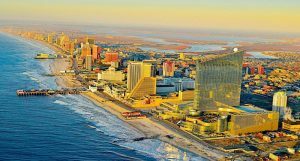 After nearly five years in operation, real money online casino gambling in the state of New Jersey is still growing year-on-year, surprising analysts and stirring debate as to whether the market is helping or hurting land-based casinos in Atlantic City. Atlantic City casinos have pulled down some $938.4 million in revenue from online gambling since its launch in late November 2013 and as year-on-year growth continues, manage to pick up some $20 million per month collectively, clearly strengthening their bottom like. In fact, in 2018, collective monthly online gambling revenues surpassed $25 million in March, July and September, with monthly year-on-year growth hitting double digit percentages over the same month last year. Moreover, the online casino gambling market has yet to see a single decline for any month since its launch back in 2013, shocking many analysts who expected to see market saturation after just a few years. 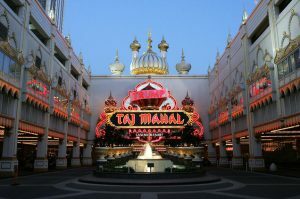 Even as land-based casino after land-based casino bit the dust in Atlantic City between 2014 and 2016, with five in total: The Trump Taj Mahal, the Trump Plaza, the Revel, the Showboat Casino, and the Atlantic Club Casino Hotel shutting their doors in just three years, online gambling continued to grow at a rate of 62.5% over the same time period. While its clear that the revenue from online gambling has given a boost to Atlantic City casinos, the question remains as to whether the rising tide of online gambling really lifts all boats, or instead simply cannibalizes revenue from the casino’s other operations and in turn hurts Atlantic City as a tourist destination dependent on both gaming and non-gaming revenues. Speaking to the Press of Atlantic City, industry consultant and former casino executive in Atlantic City, Steven Norton said he has been an early proponent of legalized online casino gambling in New Jersey but now believes that position to have been a mistake. By removing the need for players to physically visit the casino, Atlantic City has eroded part of its own revenue stream. 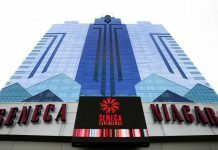 At the same time, two new integrated casino resorts have opened in Atlantic City, the Ocean Resort Casino and the Hard Rock Hotel & Casino, increasing competition for land-based casino dollars and non-gambling revenue. 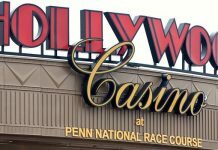 To underscore this point, it should be noted that as of September total gaming revenue was down year-on-year for six of the nine properties in operation. But not all analysts agree. According to Steve Ruddock, the sky is falling rhetoric because online casino gambling is cannibalizing land-based casino revenues is more hype than reality. So far, the leader in online gambling has been the Golden Nugget Atlantic City, which has generated $228 million in online revenue. 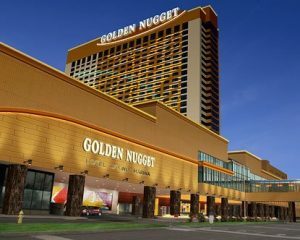 The Golden Nugget’s general manager of online gambling and senior vice president Thomas Winter has said the casino’s online activities have been helpful not just in generating much needed revenue but also in pumping up brand awareness and pulling in a younger market. Director of the New Jersey Division of Gaming Enforcement David Rebuck expressed amazement at the continued growth of the online gambling market in the Garden State. Previous articleiPhone XS – Is it worth the $1,000 price tag? Next articleGVC Holdings to Fund Major Study on Problem Gambling in the U.S.